Looking for something fun to do with your family and friends after (or during) the Macy's Thanksgiving Day Parade, but before you gorge yourself on turkey, stuffing, and pie? 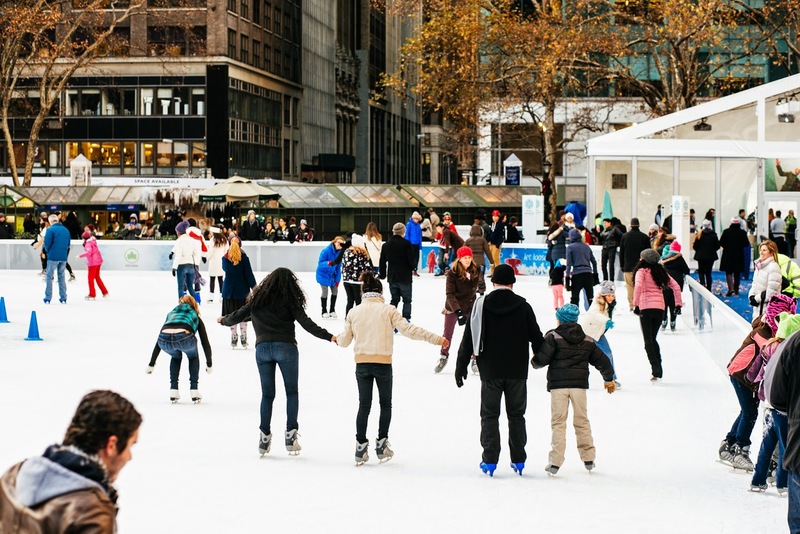 Fear not - Bank of America Winter Village at Bryant Park will be open on Thanksgiving! Bryant Park has something for each member of the family. Tackle some holiday shopping at The Shops, burn off some pre-turkey calories at The Rink, or enjoy food and drinks from Celsius or the Bryant Park Grill. Although parts of the park will be closed to the public before and during the parade (shown in red below), the park will resume normal operations once the parade has passed by at around noon. When you do arrive at the park, be sure to use entrances along 42nd Streets, as those along 6th Avenue and 40th Streets will be closed during the parade. This map shows park access as the Thanksgiving Parade passes the park. The entire park will open to the public around noon. Skate around on the city's only free-admission, public ice skating rink! Take a whirl on Le Carrousel - it's the perfect place to take those little cousins who are visiting and just won't sit still. The toasty warm fire pit at the Southwest Porch is a great place to warm up while grabbing a drink or a snack. Sandwich, Coffee, and Grilled Cheese Kiosks will operate with normal hours (which can be found here). Yogurt and Hot Chocolate Kiosks will be closed for the day. If you're looking to skip the Thanksgiving cooking hassle, why not let the talented chefs at The Grill do the work for you? They have a special prix fix Thanksgiving menu. Call them up at (212) 840-6500 to make a reservation. Warm up under Celsius' outdoor heaters or sit upstairs with the best of The Rink below. Grab a delicious cocktail or indulge in some pre-turkey feasting. Celsius's upstairs dining room is surrounded by glass - the perfect place to watch skaters below and enjoy a warm meal.